Depending on the type of material used in a residential or commercial plumbing system, it may be decades before a system replacement is necessary. But that doesn't mean repairs won't be needed from time to time, including these common plumbing repairs. The plumbers in Ocala with Sunshine Plumbing & Gas know how to repair any plumbing issue no matter the age of the system. Day or night, call us for fast and reliable repairs! If you’ve never experienced a dripping faucet, you’re in a select group. Along with being an annoyance, a dripping faucet can waste hundreds of gallons of water each year — and result in a higher water bill. When the plastic or rubber washers inside a faucet become worn, the washer is unable to form a water-tight seal and water seeps through. Most washers can be replaced without the help of Sunshine Plumbing & Gas, but some types of faucets, such as ceramic taps, are more complex to repair. Low water pressure generally has two sources — one occurring more often than the other. Every water supply carries dissolved minerals, which then build up on metal surfaces, such as a faucet aerator or showerhead. As the minerals build, the amount of water coming out reduces. Unscrew aerators and showerheads and soak them in vinegar for several hours — overnight is best — to dissolve the deposits. This generally improves a water pressure issue, but if not, contact our plumbing repair company with Sunshine Plumbing & Gas. Another source of low water pressure could be an issue with the main water line. 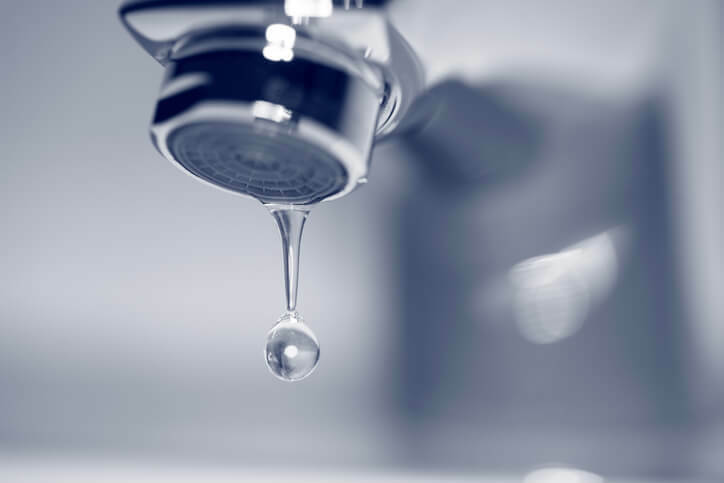 Leaky pipes are much like dripping faucets — annoying and costly in more ways than one. The cause can be wide-ranging, from the pipe material corroding to the building foundation settling over time. But, a slow leak has the power to cause significant damage to surrounding surfaces, such as floors and walls, if left unrepaired. Most leaky pipes can be repaired with commercial joint filler and fitting compounds found at home improvement stores. But keep in mind this is a stopgap solution and an Ocala plumbing professional with Sunshine Plumbing & Gas should be called to find a permanent solution. A running toilet usually happens as the flapper inside the tank deteriorates. The flapper controls when and how much water passes from the tank to the bowl. As it deteriorates, the seal weakens and water bypasses the flapper. In most cases, it's relatively easy to fix a running toilet — toilet repair kits are available at any hardware or home improvement store. But if the problem persists or causes flooding, the situation requires a professional plumber. Slow drains can form for many reasons, most of which can be cleared with a plunger. And though it’s tempting to use a commercial drain cleaner to get the water flowing again, only use these products once in a while. Consistent use can damage pipe materials which then causes larger plumbing issues. Instead, try to clear the drain with a plunger and if that’s unsuccessful, call Sunshine Plumbing & Gas to effectively clear your plumbing in Ocala. Repairs for a hot water heater can be as simple as relighting the pilot light or as complex as a thermostat issue. Many repairs center around a buildup of sediment in the bottom of the water tank which can lead to corrosion and leaks. It's okay to relight the pilot light yourself but any other repair should only be handled by a plumber Ocala, FL residents know from Sunshine Plumbing & Gas. Sewer backups are usually easy to find because of the unpleasant odors. Clearing a backup, however, can be a messy situation itself because of the cause and location of the backup. If the blockage occurred in a line on home or business property, then it’s the home or business owner’s responsibility to repair the issue. If it’s in a city or municipal sewer line, then the local municipality is responsible. What you flush or put down the drain largely affects whether a backup will eventually occur. Diapers, facial tissues, and food scraps are examples of items frequently responsible for causing sewer backups. The plumbing system works day after day, but when there’s a hiccup, a fast and reliable repair from Sunshine Plumbing & Gas will solve the problem in no time! For any repair, common or rare, schedule service today!